Active Playtimes offers over 70 practical, easy-to-follow games and activities to help teachers and school assistants introduce constructive, positive physical play to playtimes. Playtimes are often a neglected part of the school day in terms of encouraging exercise and game playing. Break times account for 90% of bullying and fighting in schools. The structured activities and comprehensive introduction will give teachers and playground supervisors the information and inspiration they need. 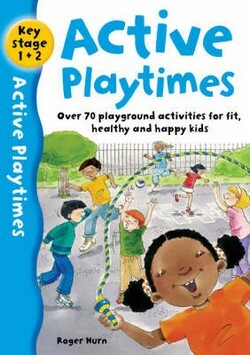 Each activity is clearly explained and illustrated, and the introduction is a comprehensive guide to organising and managing children at playtimes. Every staff room should have a well-thumbed copy!